 The 50 States Game is a fun geography board game focused on US geography.  Kids learn about US states and capitals.  Kids study US geography without realizing it. 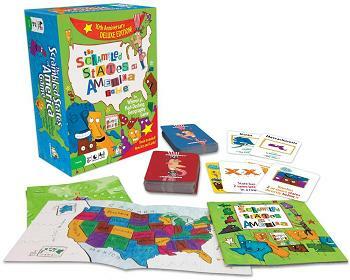 The 50 States Game also known as the Scrambled States Game is a geography board game that makes learning US geography fun and exciting! This game is designed for children ages 8 and up. Kids learn about US states and capitals, positions of the states and also how each state looks like. The game includes 50 Scramble cards, 50 state cards, rules and 4 US maps. Players are dealt state cards that they try to match to a card turned over from the Scrambled card deck. Players collect state cards by matching states to a Scrambled card. For example, they might have to find a state that ends with the letter “N”. They might also have to name neighboring states. One card might say “state east of Arizona”. Or they might have to guess a state by its color or a capital by the number of syllables that it has. For example, which state is brown? Or which capital has three syllables? If they can match it, they show their state card and shout the name of the state. The player that has collected the most state cards wins the game. Kids do not have to have prior knowledge in US geography as all questions are based on the cards in deck and on the US map. However, the game requires good observation skills and being able to react quickly. 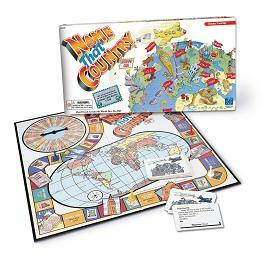 Overall, with this geography board game, kids study US geography without realizing it. They will first learn the name of the 50 states. And as they play more, they will be able to memorize the location of each state. 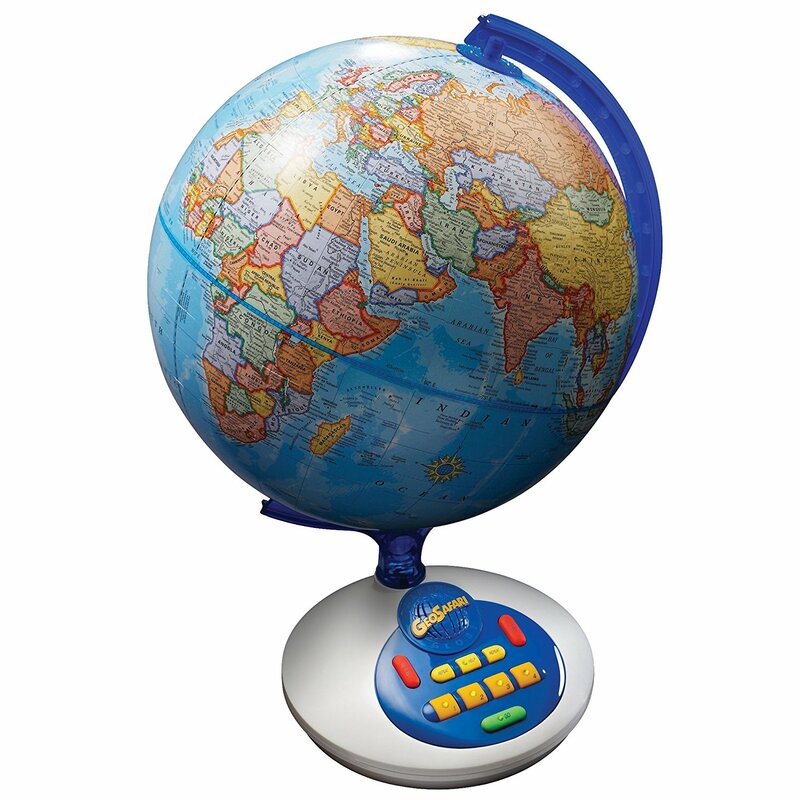 Overall, kids enhance their knowledge of US geography all while having fun! By the way, there is also a book called the Scrambled States of America (for ages 6 and up) that we recommend which contains both a book and a puzzle.